The TC Electronic Nether Octaver Guitar Effects Pedal allows you to add some depth to your guitar's tone for punchy accompaniment to a fat and thick all-analogue beauty. 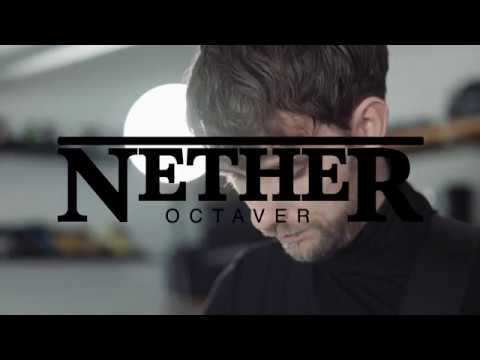 Whether you want that sweet glitchy break up, or fancy introducing a mesmerising synth-like quality to your tones, the Nether Octaver would make a welcome addition to any guitarist's arsenal. The TC Electronic Nether Octaver Guitar Effects Pedal offers the options of one octave below or two octaves below that can be mixed at once with your dry signal. Even the flattest sounding setup gets a beefed-up treatment for a delightfully full-bodied output. The simple to use three-knob layout features controls for Octave 2, Octave 1, and Dry. Octave 2 adjusts the volume of the signal two octaves below the input, Octave 1 adjusts the volume of the signal one octave below the input, and the Dry knob adjust the volume of the input signal. By attenuating each control, you have the ability to pull a wide range of tones from this dynamic little box. Whether you're performing a chilled-out gig with vintage gear and want to dial back unwanted hum, or are playing some punishing metal and want to keep those alternate chops sounding tight, the Iron Curtain has all bases covered. The TC Electronic Nether Octaver Guitar Effects Pedal is built to exceed the demands of today's guitarists. Whether you're simply jamming at home, taking to the stage, or hitting the road on a lengthy tour, this little beauty is built to take anything that you throw at it. Thanks to its pedalboard-friendly design, this little beauty will slip into the busiest of setups with ease. Top-mounted jacks free up clutter so that your pedals can slot in against each other more easily.